By Lindsayt	| Published on Friday, July 1, 2011. Gaia in action in Chicago. 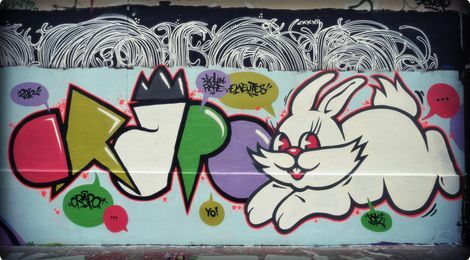 FatCap has a diverse community of artists that reflects the richness of the graffiti movement. Here are the members we've highlighted in June on Twitter. Wheatpaste, mixtape, and plenty of parking meter change: A Day in the Life of Los Angeles Street Artist Morley. We owe it all to you - the artists, the photographers and the readers. Let the FatCap love-fest begin: Here are some of our favorite photos from North America.